Richard Pieris and Co. PLC is one of the largest and most successful diversified business conglomerates based in Sri Lanka . Being one of the oldest companies with a 80 year old history, it is also is one of the largest employment provider in the private sector in the country. To be a market driven, technologically oriented diverse group. We will organise and operate to continually focus on exceeding the expectations of our customers, whilst excelling in profitability and we will attract, develop and retain talented people to ensure the continued growth and viability of all our business ventures. To continually exceed the expectations of our customers. To optimise the contribution from our employees by providing career and personal development opportunities, thereby creating an atmosphere that would motivate and internalise employee aspirations with corporate objectives. 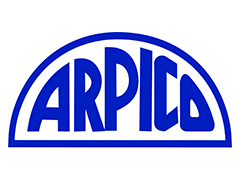 Arpico uplifts professionalism in the printing industry. 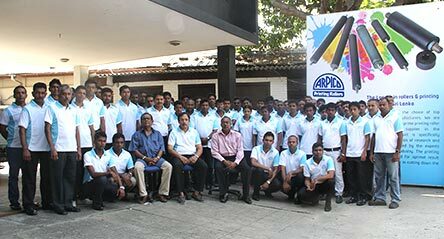 Arpico, the largest rubber manufacture and producer of state of the art rubber printing rollers in the Island has joined hands with INGRIN. No: 310, High Level Road, Nawinna, Maharagama, Sri Lanka. 2013-2014 © Richard Pieris Rubber Products Ltd. All Rights Reserved.